Okay, first of all, let’s talk about the name change. When MapTap was first envisaged, it was just designed for single maps and unpackaged files. Over time we started adding more and more features. Now, MapTap installs mods, so the name “MapTap” limits its perception as useful. With all that in mind, I decided to re-brand it. It is now called “Gauge”. My thinking behind it is that it fits with the idea of Valve and Steam, without using one of their brand names. The version numbering will continue from the previous versions. The name change is from this point forward. I will need to make the changes to the sub-site, buttons etc, but those will have to wait a few days. There are four new features in this version. Half-Life and Opposing Force can be installed on different drives from your default Steam installation. Since we now install all Source maps as mods, we no longer need to worry about locations of the Source games. Desktop shortcuts can now be created by dragging the map you want to link to, to your desktop. If it is a mod, then the shortcut starts the mod, if the archive allows users to select maps, then you can create a shortcut to that map. Be warned, the name of the shortcut is quite long, but you can rename it to whatever you want. For many mods under 25MB, RTSL offers a button that installs directly into Gauge. If you are browsing via Gauge, this is smooth and fast. If you are browsing via a browser and click the MapTap button, MapTap starts. Okay, that’s the background. Now, if you were browsing via Gauge and wanted to save the file as well, you would have to do two things; download and then install. Now, you can click the download button and when it has finished downloading, you can install it immediately. This means you still have the archive AND and installed version. Last, but certainly not least, is a search function. Via the VIEW menu, you can now see a FIND option. This opens a function in the top-right section of the application. It search through archive AND map names. For a few versions now, Phillip has been using images of paintings by Dutch masters as the featured image of the posts. From the previous version a codename was given to each version, which matches a real painting. 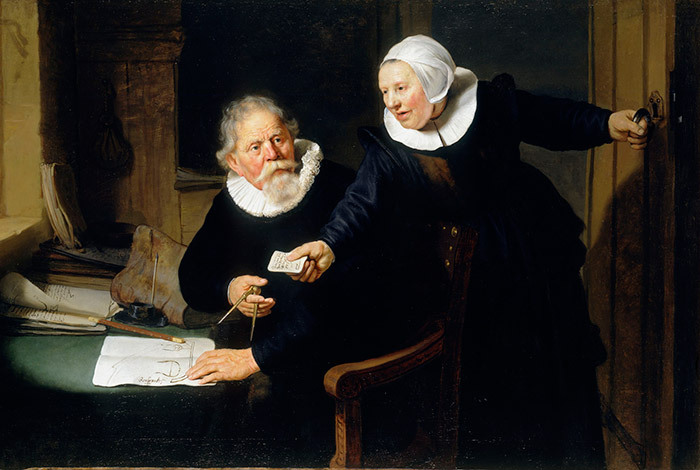 This version’s codename is The Shipbuilder and his Wife, a painting by Rembrandt, completed in 1633. No link on this page? At the top. (I just added it). The word GAUGE has too many meanings in English. Could you specify the exact one, please? Maybe with image. The automatic update is disabled for betas and release candidates. Meaning, if you are running a MapTap version 2.5.1_someStringHere (check your “Help” -> “About” command), that version will not auto-update. That was done to avoid pestering beta testers with update notifications. You’ll probably have to download either the full installer or the update, and run it manually. Quite fitting really, all we need now is a logo that fits it fully, the black, blue and white colour scheme on a minimally designed image of a steam guage. Beta versions don’t get automatically updated. It’s a purposeful feature to stop the user from being bothered by constant update notices. You will have to update manually. Speaking of beta versions, is there a beta version of Gauge or is it full release right now? – you can create shortcuts by drag-and-drop to your desktop, or to any folder on your computer. Just open up Explorer (or My Computer), browse to the desired folder, then drag a map from Gauge to that folder. – you can create desktop shortcuts also by right-clicking a map, and select ‘Create desktop shortcut’. – the find command: you can open it up also by using the CTRL+F shortcut. … and that’s pretty much it, I think.